Former Lando Calrissian actor Billy Dee Williams was spotted having lunch with his younger self, Donald Glover. Glover will be portraying Lando in the as-yet-untitled Han Solo standalone film, but, other than his being overwhelmingly excited about the role, little is known about what exactly to expect. What do Landos who lunch discuss? The helplessness of Han Solo? How they were cheated out of their respective Millennium Falcons? If time travel were a thing in the Star Wars universe, then young and old Lando would probably meet up at a local cantina. Alas, they’ll have to settle for their IRL counterparts, snapped by Reddit user cyborgcommando0. Harrison Ford, Han Solo himself, was spotted having lunch with his younger double, Alden Ehrenreich, on January 4, no doubt imparting some smuggler’s wisdom for the upcoming Solo project. So, with Billy Dee taking Glover under his X-wing (too much? ), there seems to be a pattern emerging. Was the meetup mandatory, or are these meetings just out of the goodness of Harrison and Billy Dee’s hearts as they try to take some of the pressure off these iconic roles? 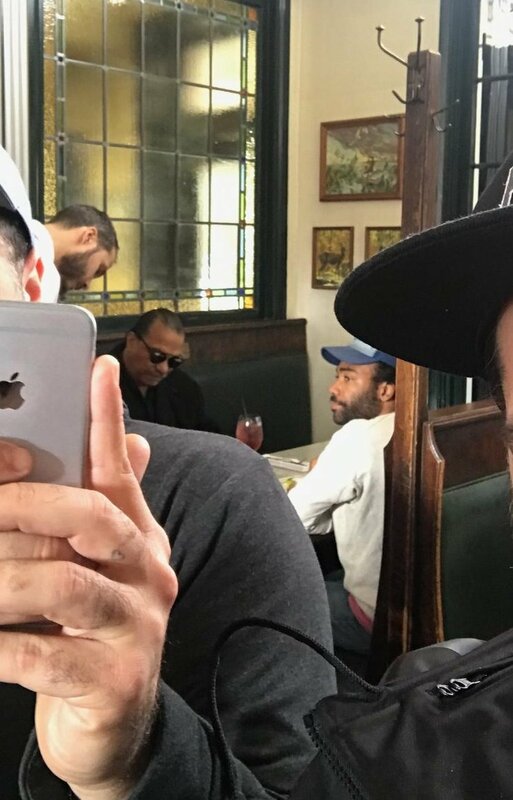 Lando Calrissian actors Billy Dee Williams and Donald Glover were spotted lunching together by Reddit usercyborgcommando0. The Han Solo standalone film starring Ehrenreich as Han and Glover as Lando is set for a May 25, 2018 release date.